A bathroom can be among the top selling points in a home. Upgrading your bathroom prior to listing the home for sale may enable you to sell it at a higher price point. There are many items that you want or need to keep in a bathroom at any given time. For instance, you'll likely want to keep extra rolls of toilet paper handy or have extra hand towels available. You'll also want to keep your toothbrush, toothpaste and deodorant in the bathroom. Adding a closet, a larger vanity or extra drawers underneath your current vanity, you provide plenty of space for multiple people to share the bathroom peacefully. Buyers will have a harder time not putting an offer on a home when it has a luxurious feel to it. Adding a Jacuzzi to the bathroom will make a buyer feel as if he or she were about to buy a spa instead of a residential property. Working with companies can make it possible to make your bathroom luxurious yet affordable at the same time. Replacing your current floor in favor of a tile one can improve the look and feel of the entire space. In fact, a remodeling contractor can add a heated floor that is ideal for those cold winter days or those chilly spring mornings. It can make it easier to face the prospect of walking to the shower or sink without the need to find your socks and slippers first. If you have to share the bathroom with your spouse or kids, it's important to have multiple sinks. This allows both parents to get ready for work at once or both kids to get ready for school at the same time. It also allows each person to keep their area of the vanity as clean or as messy as they want without infringing on others. Even if you don't have a large remodeling budget, you can still make your bathroom look and feel like the best room in the house. When done properly, this space can be the centerpiece of the home and help to attract eager buyers willing to pay top dollar for it. Hannah Whittenly is a freelance writer and mother of two from Sacramento, Calif. She enjoys kayaking and reading books by the lake. 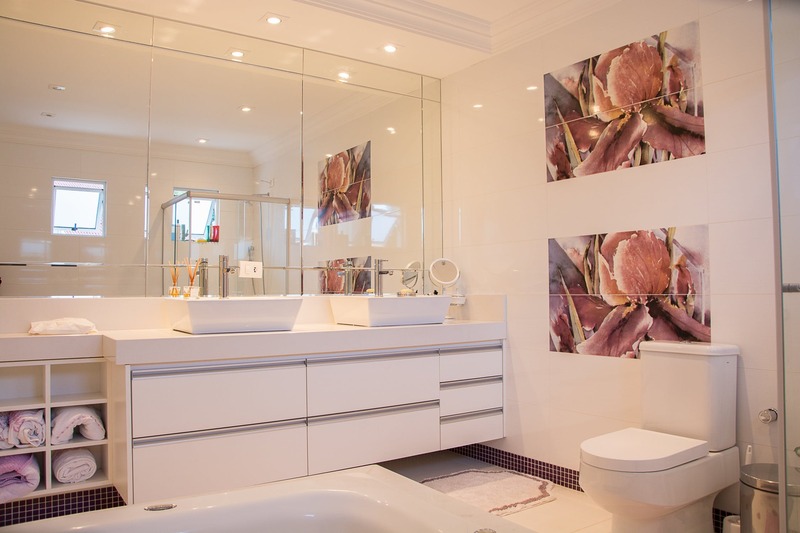 If you're looking for a bathroom remodeling contractor in New Jersey, Whittenly recommends RWC. Thanks for sharing tips on a bathroom renovation. Amazed to see and thinking how easily these can be implemented. Impressive work﻿! Will follow your tips and tricks. Thanks for the advice for renovating a bathroom! My wife and I want to change our bathroom so we can have an updated look. When I want to remodel my bathroom, I often think making it less complexed for better and easier cleaning. I’m not a tidy person so it’s really annoyed to clean every day.